Homes that come up for sale in Flat Rock Ridge since the first of 2015 haven't been staying on the market very long, probably because of its desirable location and the affordability the neighborhood has to offer. 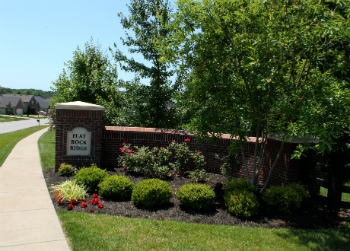 The home is close to two great golf courses; Long Run Golf Course and the Polo Fields Country Club. Long Run is a great golf course and one that I personally learned to play golf on and highley recommed it. Long run alsos has a great park that is senic and has basketball courts, tennis courts and ponds to fish in. The city of Louisville is really developing out towards this neighborhood which makes it a good buy because it should appreciate well over the next five years or more.